I've been wanting to try this one for awhile: making burnt ends with fresh, uncured, pork belly. I was hoping to get a nice, thin layer of crispy skin with melt in your mouth pork flavor. How did we do? Well, here are the results. 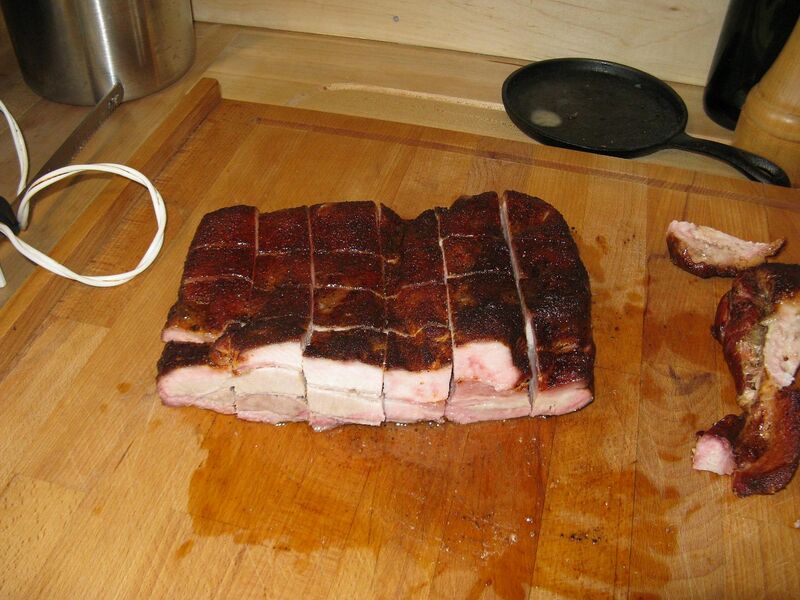 First, I took at pork belly that was about 3.8 pounds. I trimmed the back to even out the meat. 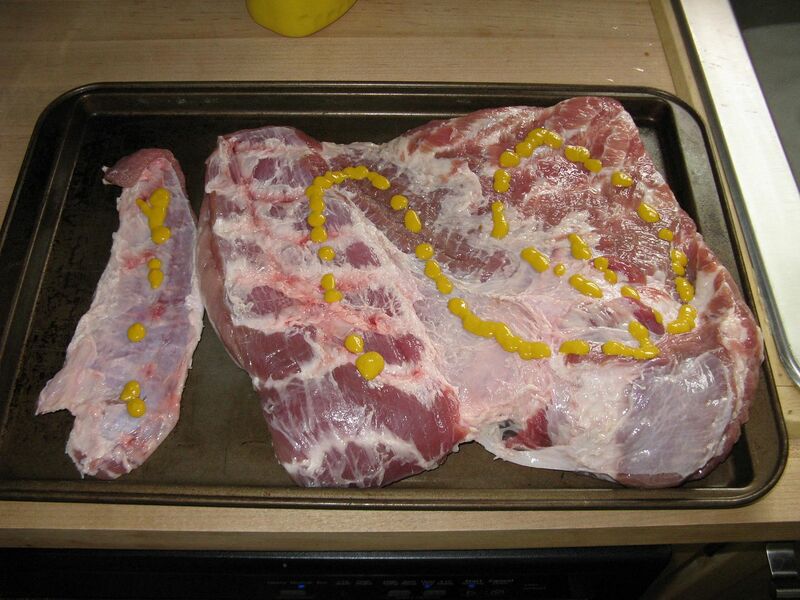 Then I slathered in yellow mustard and dusted both sides with Oakridge Secret Weapon Pork and Chicken rub. 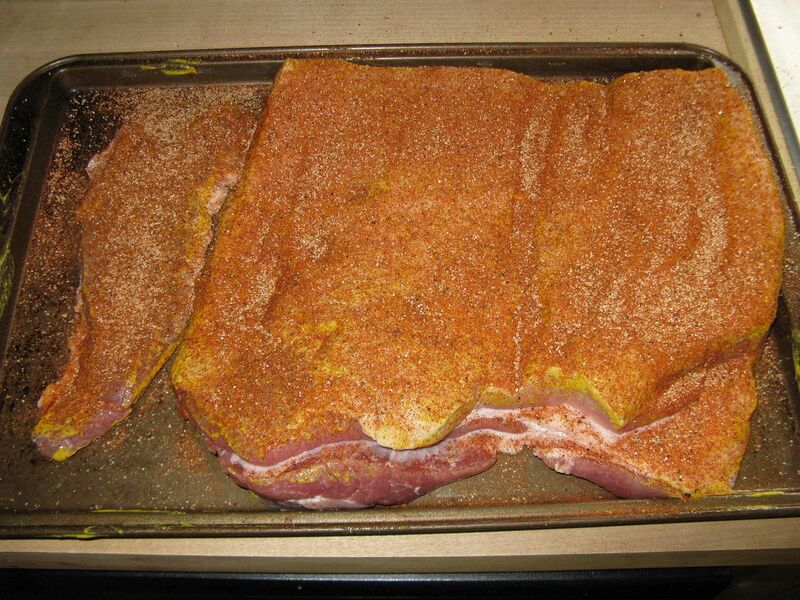 I then let the rubbed belly sit on the counter while I fired up the smoker and brought to 250 F for smoking. 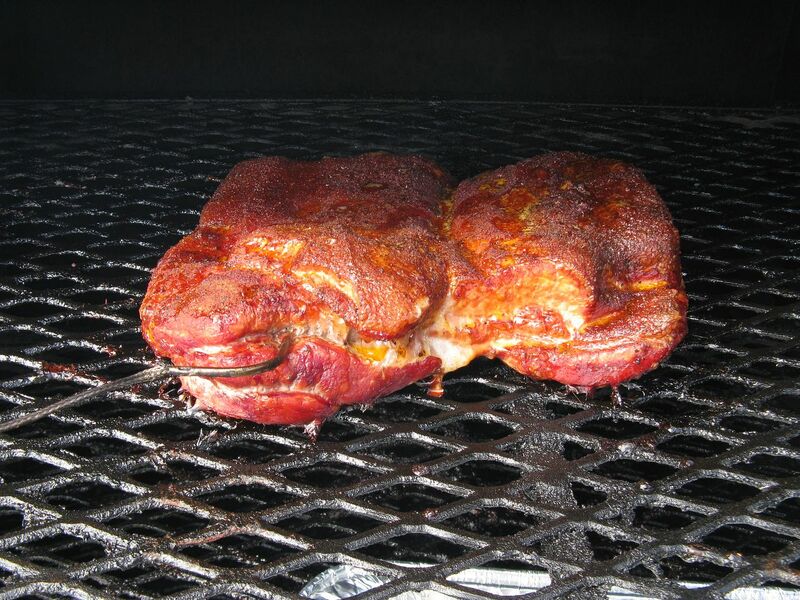 For smoke flavor, I added apple, hickory, and pecan wood into the ash pan. Once the temperature stabilized in the cooker, I placed the belly on the top rack and cooked until it reached 175 F internal temperature. 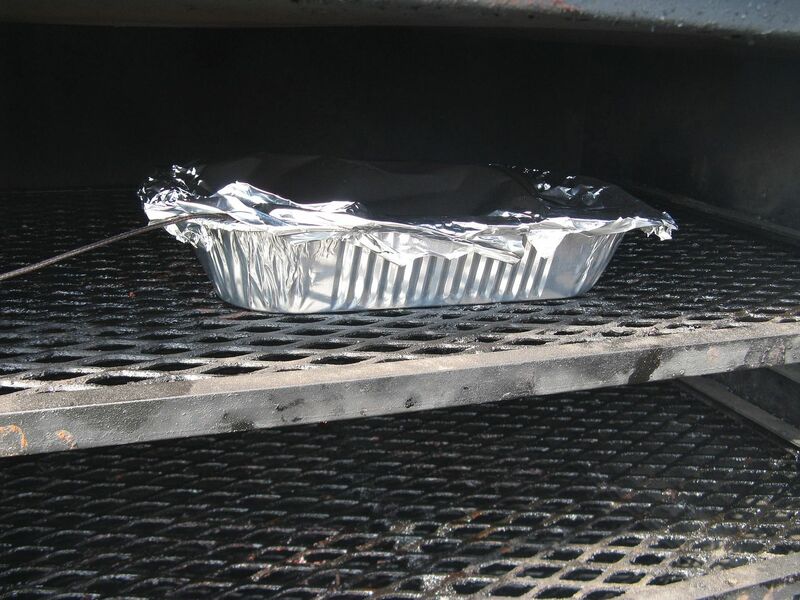 Then I placed in an aluminum pan and foiled tight. 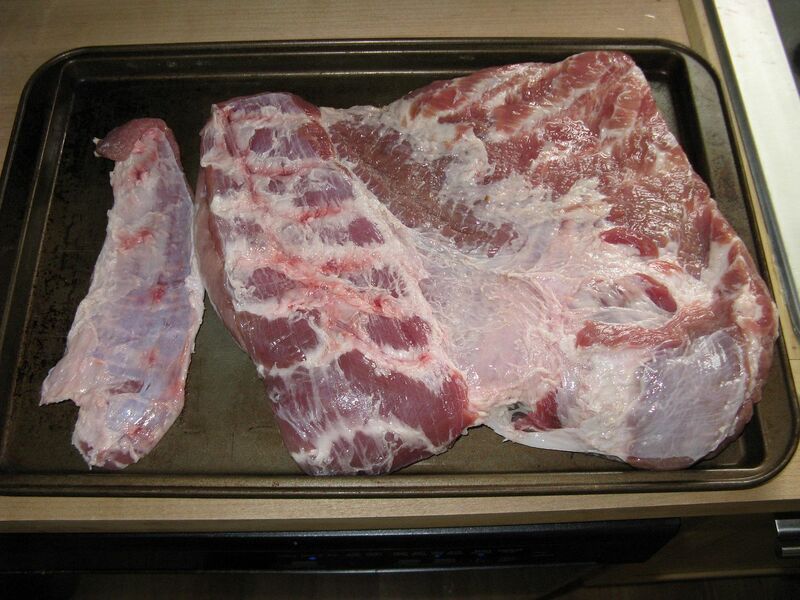 Here is what the belly looked like at 175 F, just before it went in the foil pan. It took about 3 hours to reach this temperature. In the pan getting happy. 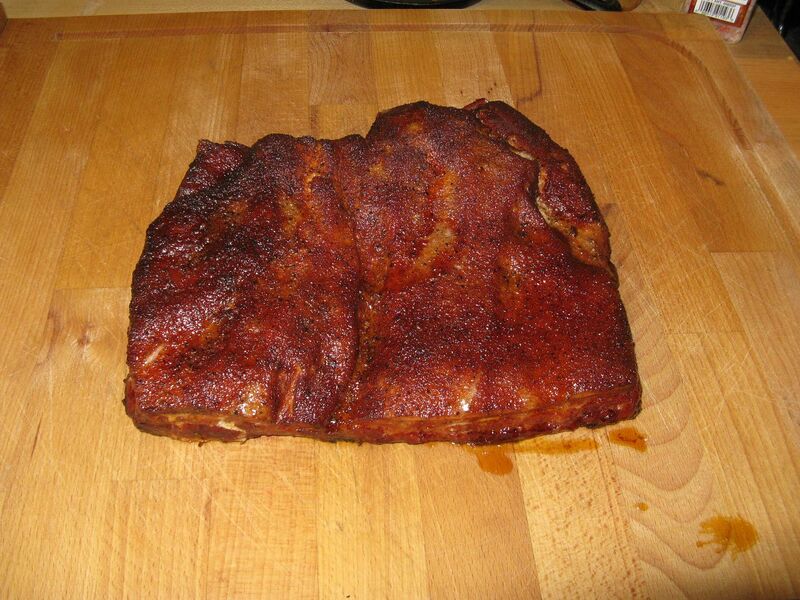 I then cooked until 195 F internal temperature, removed from the smoker, and let rest for 30 minutes. 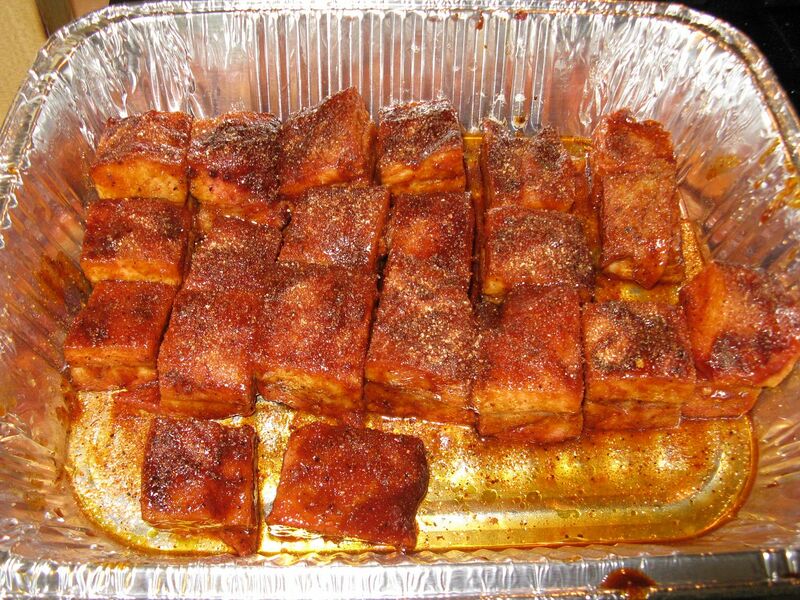 After resting, I pulled from the pan and cut into one inch cubes. 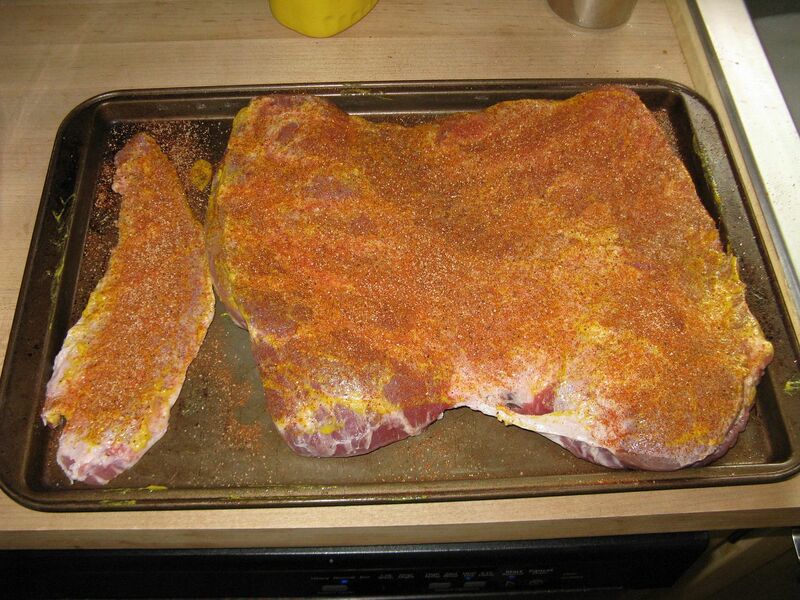 Then, I dusted with more rub and added about 3/4 cup of Blues Hog Regular BBQ sauce with Blues Hog Tennessee Red. Then, back into the pan and back on the smoker at 350 F for 30 more minutes. Here is what they looked like after 30 minutes at 350 F.
How were they? Well, the taste was excellent. 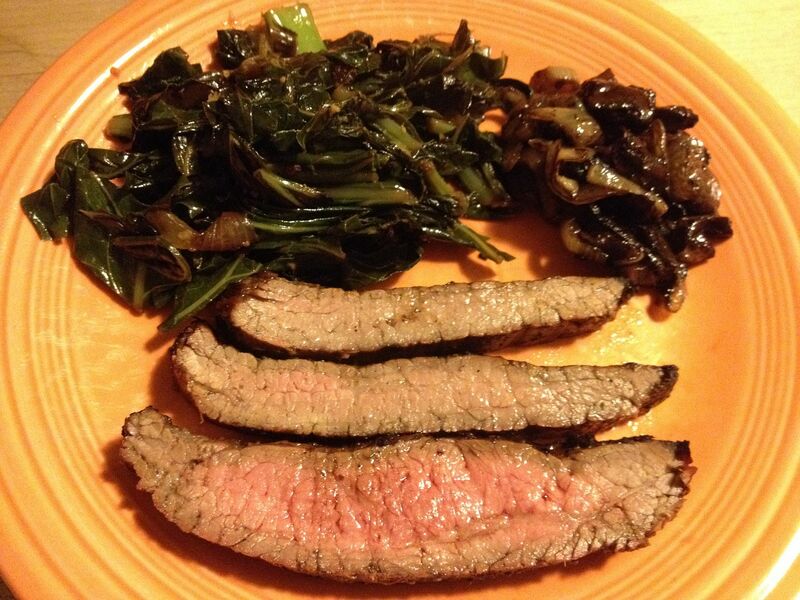 The fat was slightly crisp, but not perfect. Unfortunately, the meat was a bit on the tough side. But, still good. Just not that melt in your mouth texture and flavor that I was looking for. 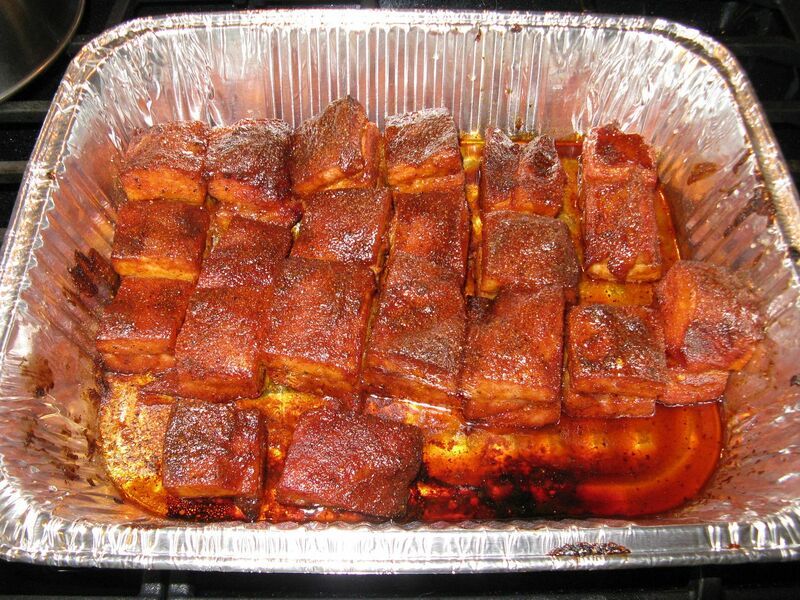 After some research after the fact, I have found that you should take pork belly to 150 F for a nice tender piece of meat. 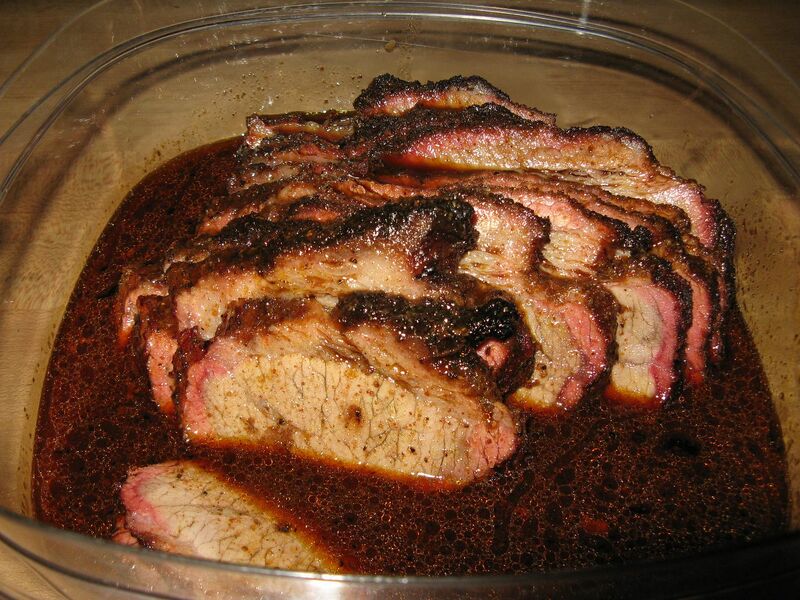 Next time, I will try the lower temperature when trying to make these burnt ends. If anyone has any suggestions, please feel free to submit comments below. I admire your experiment. 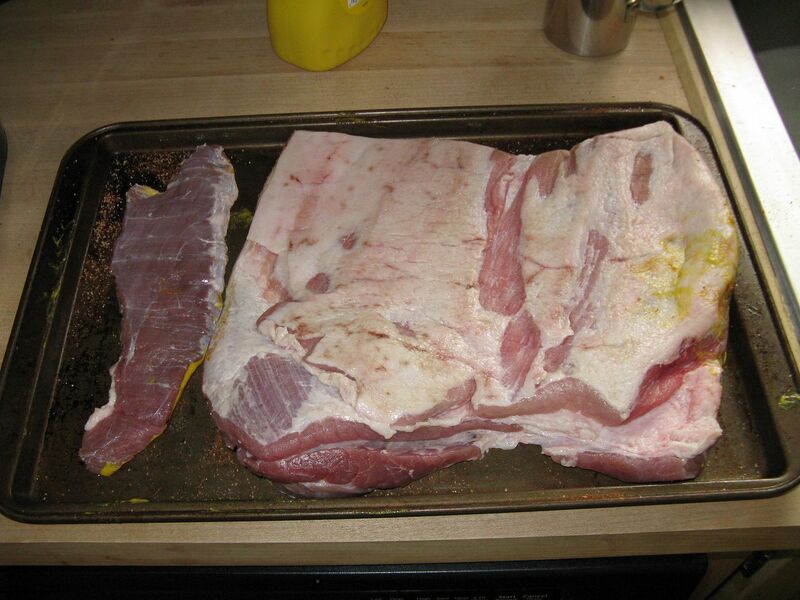 150 degree is when I pull my bacon. I then fry it. It would be cooked but you would have a lot of unrendered fat. I guess if you wrapped them it would soften but be very very rich. 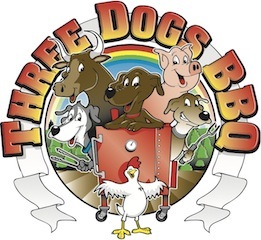 I have read that chefs braise the bellies to make them tender. Bravo for your curiosity. Chiliebrown, I may cook to 150 next time in a pan as you suggest. Then, perhaps ill finish on the rack for some crispness.